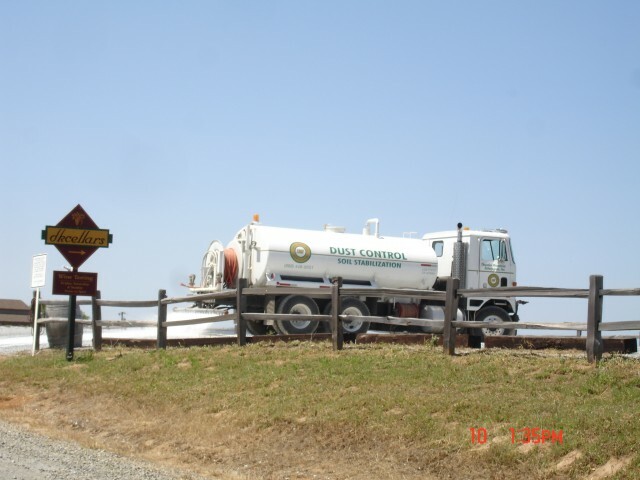 Dust from agriculture, active construction sites, and unpaved roads has become recognized by private citizens, medical experts and regulatory agencies as not only a nuisance but a major pollutant and health hazard. Silica, commonly found in soil and rock products, and naturally occuring asbestos found throughout California are linked to respiratory disease plus chemical pollutants, unwanted weed seeds, molds and mites attach to airborne particles. The most common temporary dust palliatives are derived from Lignon (plant bi-product), Calcium Chloride, Magnesium Chloride, Petroleum Products, and various Polymers. 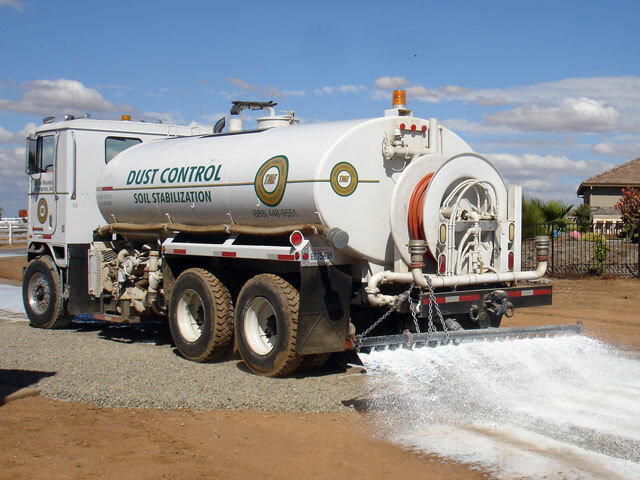 Common dust control products differ in their cost, durability and longevity. Unit costs of products often do not reflect their relative value for a particular application, and some have undesirable environmental side effects, so it is advisable to have an experienced professional review the geographic location, application, traffic conditions, and soil types in order to determine the best product or process for your job. 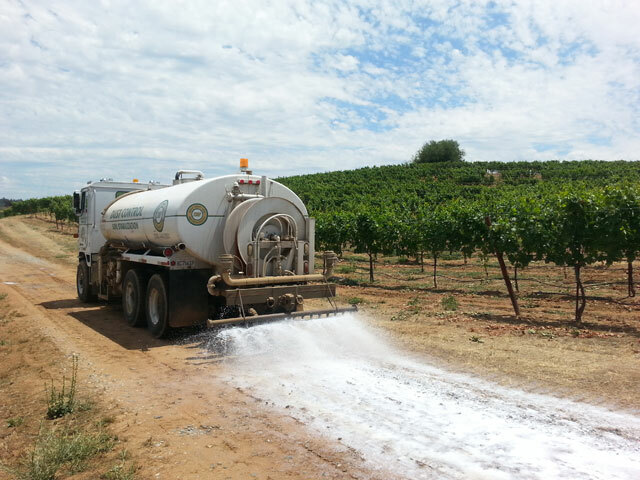 TME offers effective dust control solutions for roads, job sites, farms and vineyards with a special emphasis on environmental compatibility. 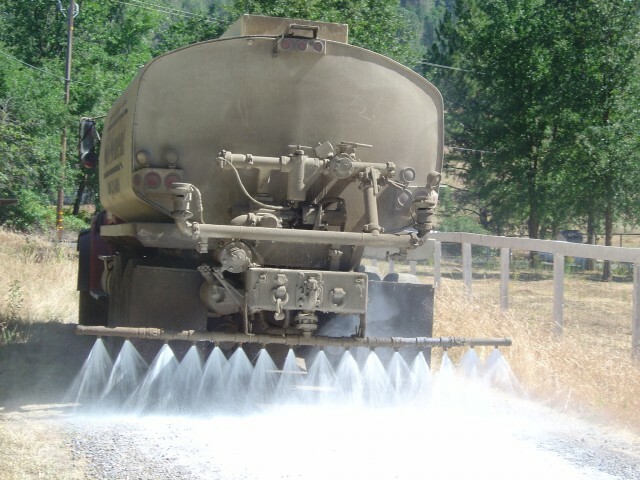 Because soil and water management is our business, TME‘s experience and expertise is your best alternative to the risk of unwanted or dangerous airborne soil particulates.